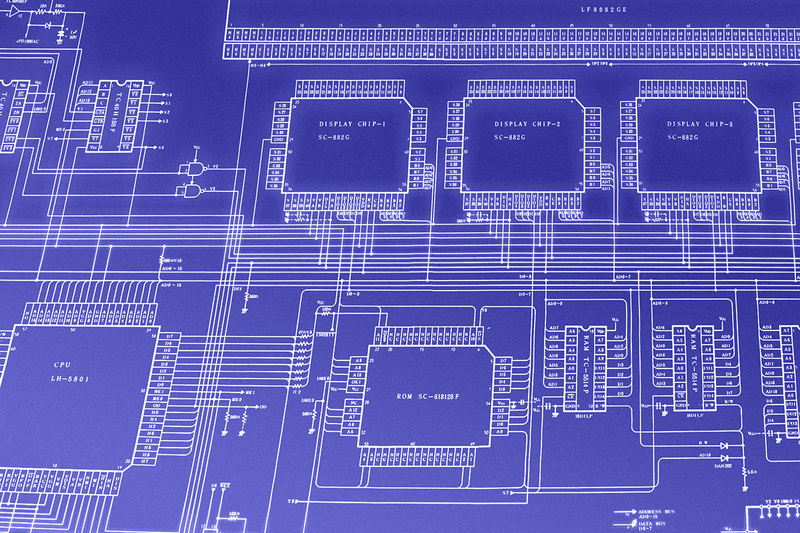 To make it clear from the beginning: this is a (possibly) destructive method of reading ROM chips. The process of extracting and possibly a resoldering of the memory chip might fail. In my case I’ve tested it on two Sharp CE-150 PCBs I’ve declared to be spare parts. It is only a proof of concept as there are simpler non-destructive ways of ROM extraction on a Sharp PC. I was just curious and so I’m describing my experiences. 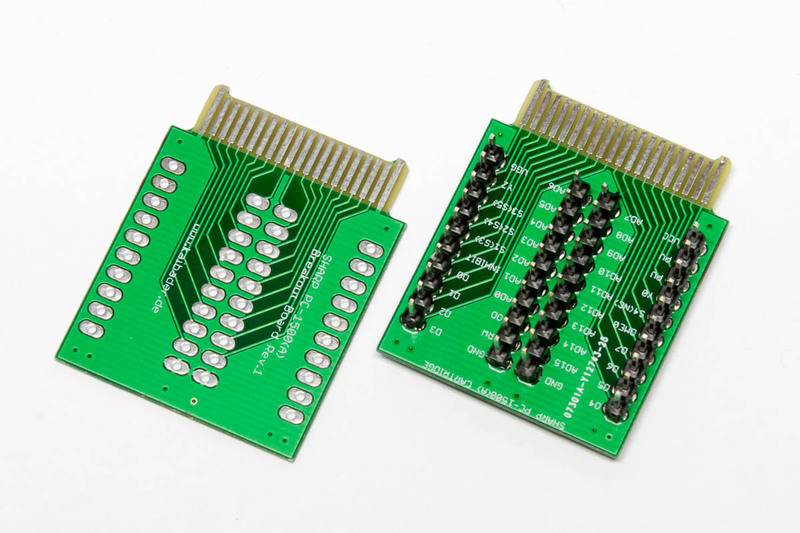 Well… At first I did not want to desolder the ROMs: I started with the intention to use a set of probes attached to the individual pins of the chip to read the content of the Sharp PC / CE ROM chips. 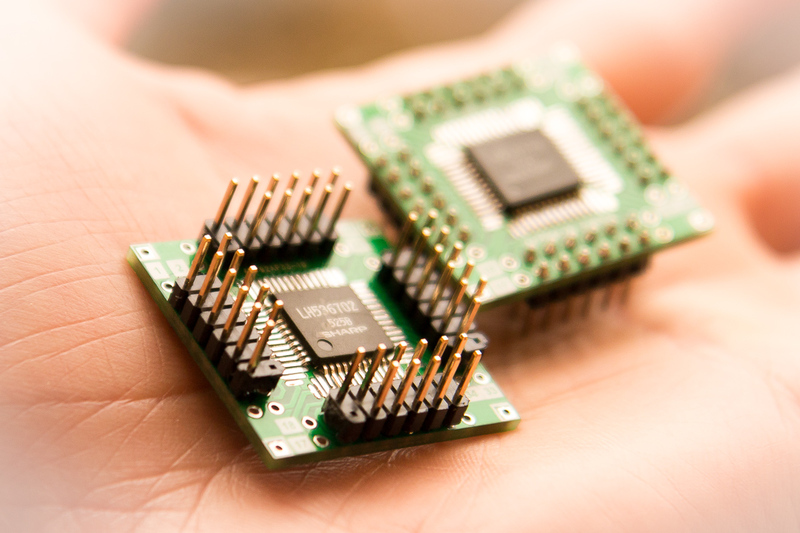 This did not work due to the narrow leg distance of the QFP chips (0.8 mm). 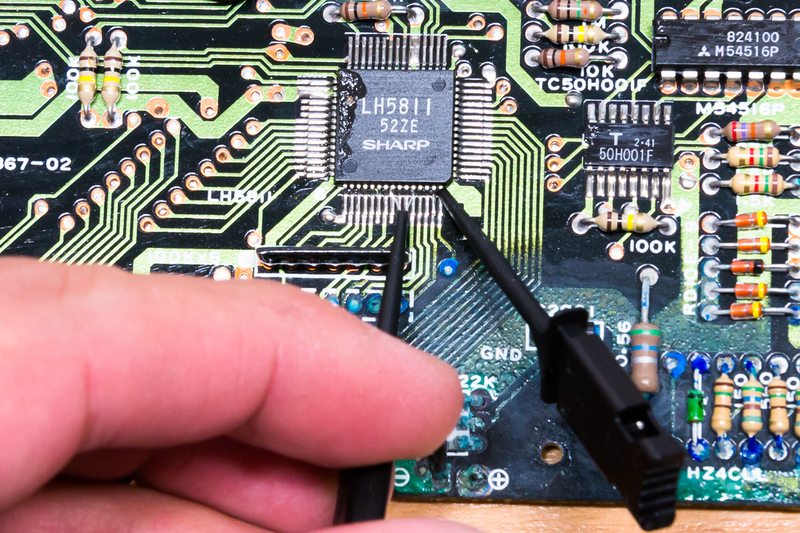 Desoldering QFP chips can be done rather quickly with a hot air gun. At least that’s the most comfortable way I know of. I usually add some flux and in some cases larger quantities of leaded solder. The latter decreases the melting point and speeds up the process. I don’t care about solder joints as the chips and the pads can easily be cleaned after the removal. Excessive amounts of solder can be removed with flux and a clean soldering iron tip. In this post I’m describing a method which is widely used to Dump RAM and ROM images on Sharp PC-1500 and PC-1600 systems. This method is non-destructive and can be used on most Sharp PC ROMs and extension cards. 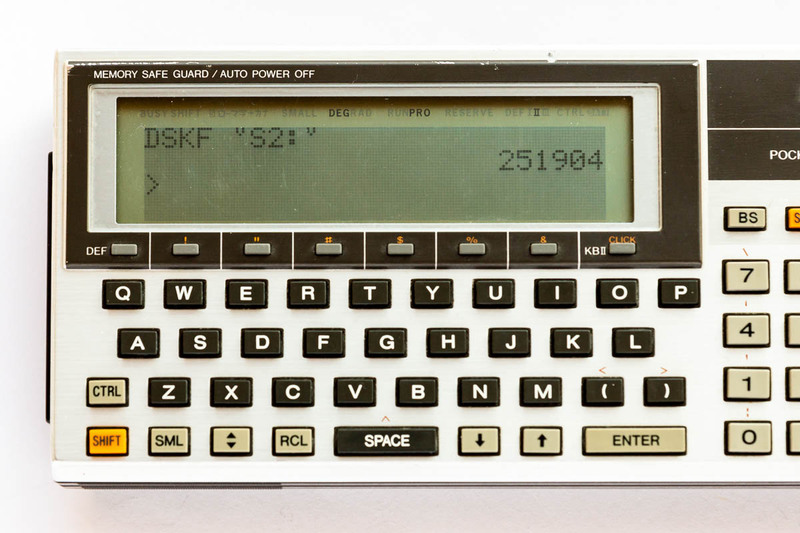 It only requires a Sharp CE-150 extension, an audio cable, and a computer with a microphone input (i.e. 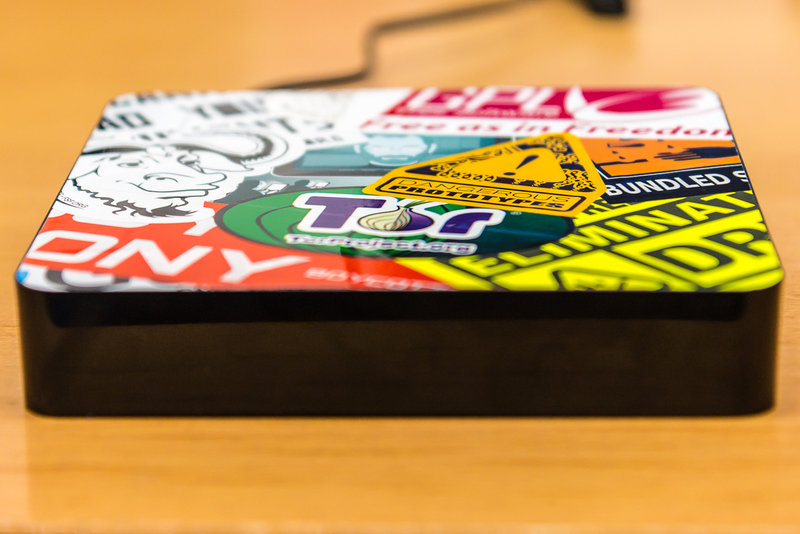 sound card). Besides a plotter, the CE-150 Color Graphic Printer also provides two audio interfaces (line-in and microphone output). 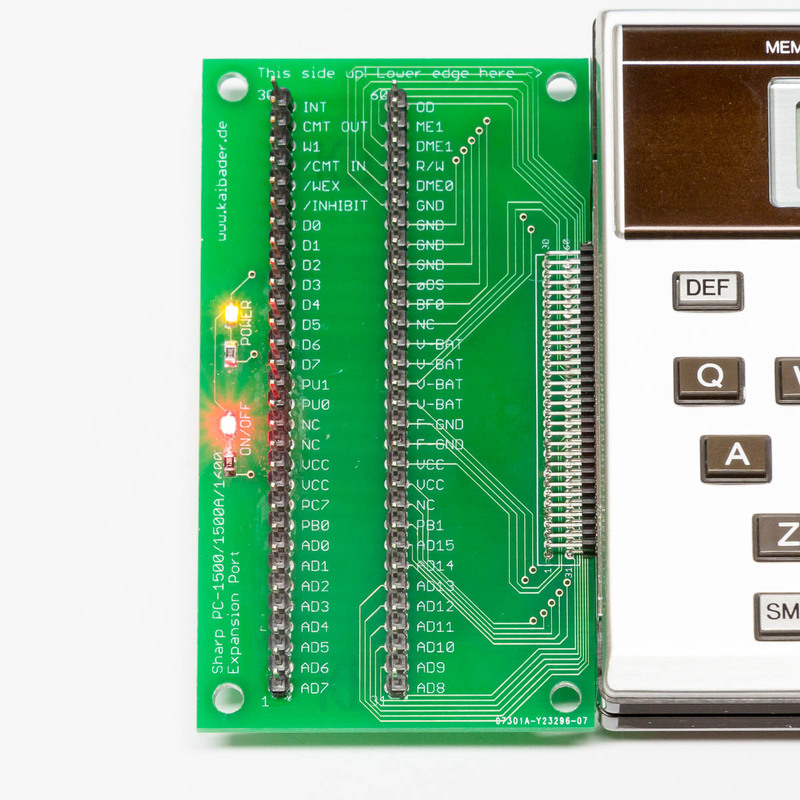 These were (and still are) used to transfer code or data between Sharp PCs and tape recorders. Today, such recorders are mostly outdated but the method works nonetheless with sound cards. Software tools are freely available (e.g. pocket-tools) that allow the transformation of recorded audio files into binary dumps and even further into BASIC code. The connector fits good enough for my purposes. 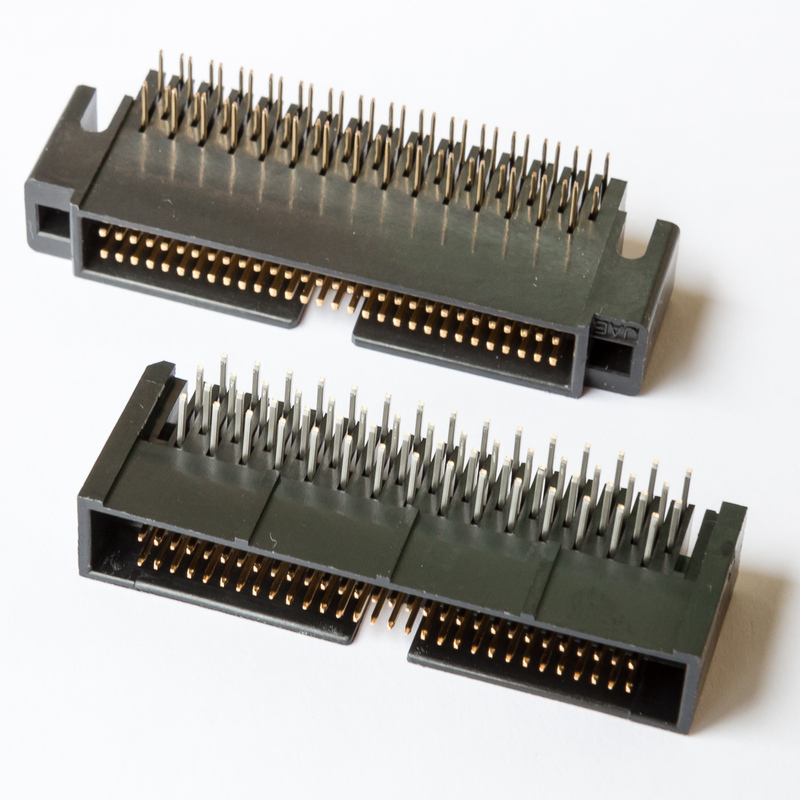 If necessary removing a bit of the plastic case left and right of the pins improves the connectivity as the replacement connector is a bit broader. 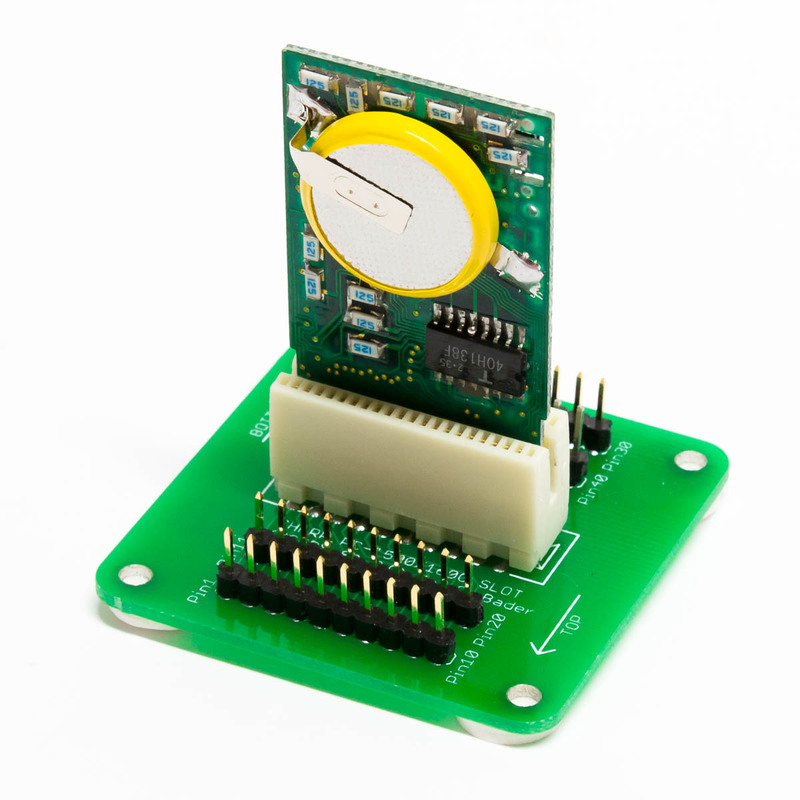 There is also a version with mounting holes (HIF6B-60PA-1.27DSL) which I will also try to get my hands on (currently not in stock). 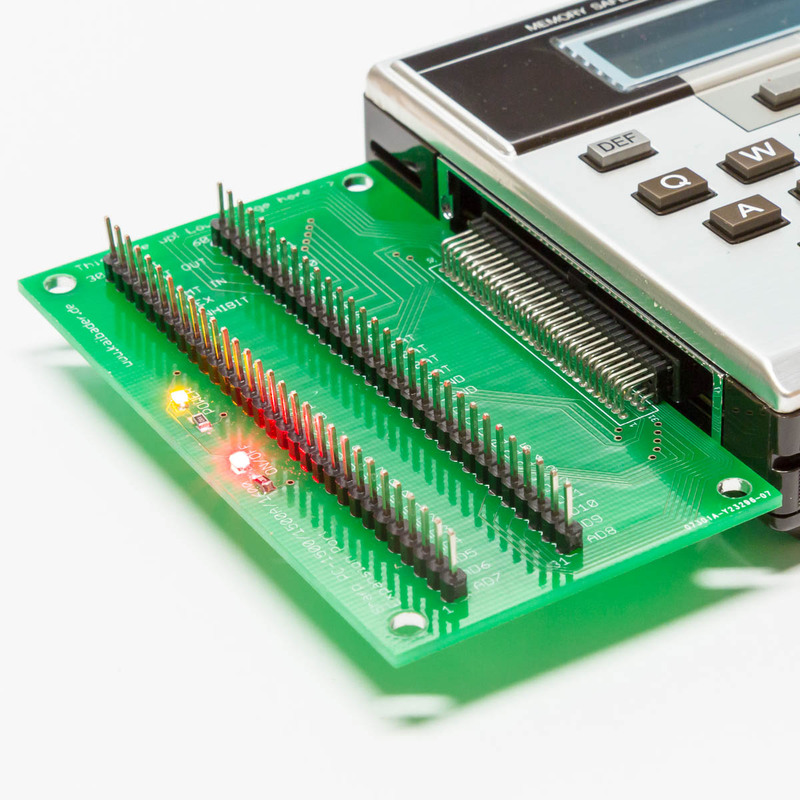 My original solution was to use a 2×30 1.27×2.54 pin header as shown in this post, but the narrow space between the pins led to serious constraints in designing a new interface board (more about that when it’s ready). Thanks again, Tom, for sharing this with me. Update: For my French friends out there – there is actually a thread (Extensions mémoire 256KB…heu non… 512KB) with more details on the cartridge mentioned above. The following cartridge adapter board completes my already presented series of Sharp PC adapters: my Interface and my Cartridge. 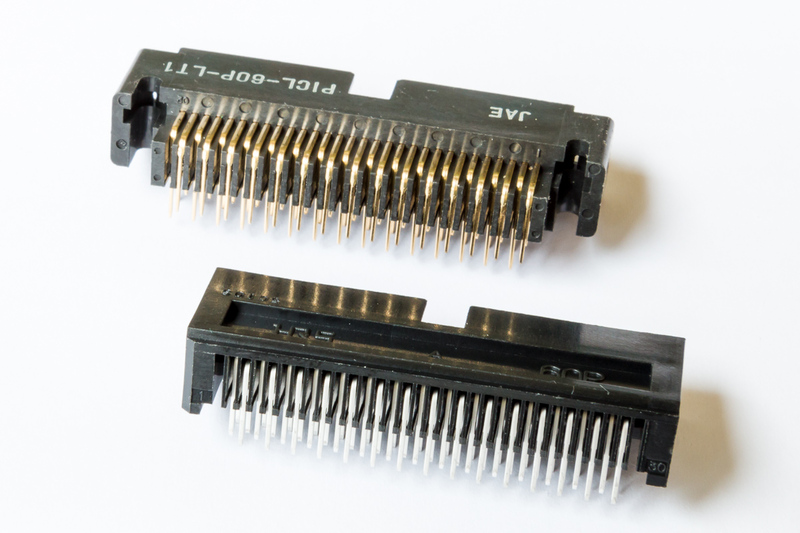 The 40-pin connector was cut out of a regular PCI slot (not PCI Express). You can actually get two connectors out of one slot. 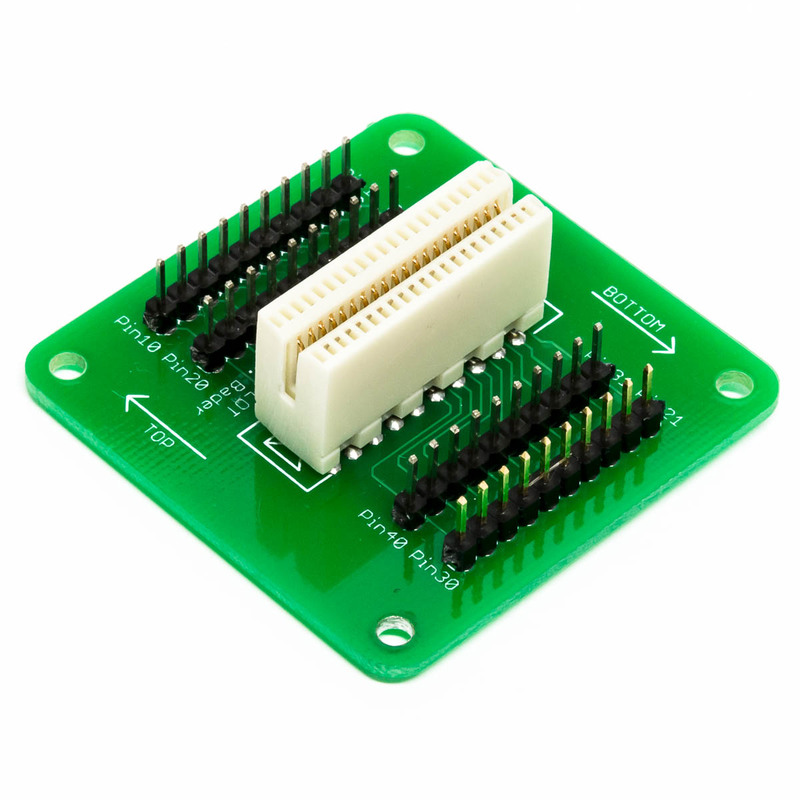 Pin headers allow easy access to the data, address, and control lanes of the cartridge. 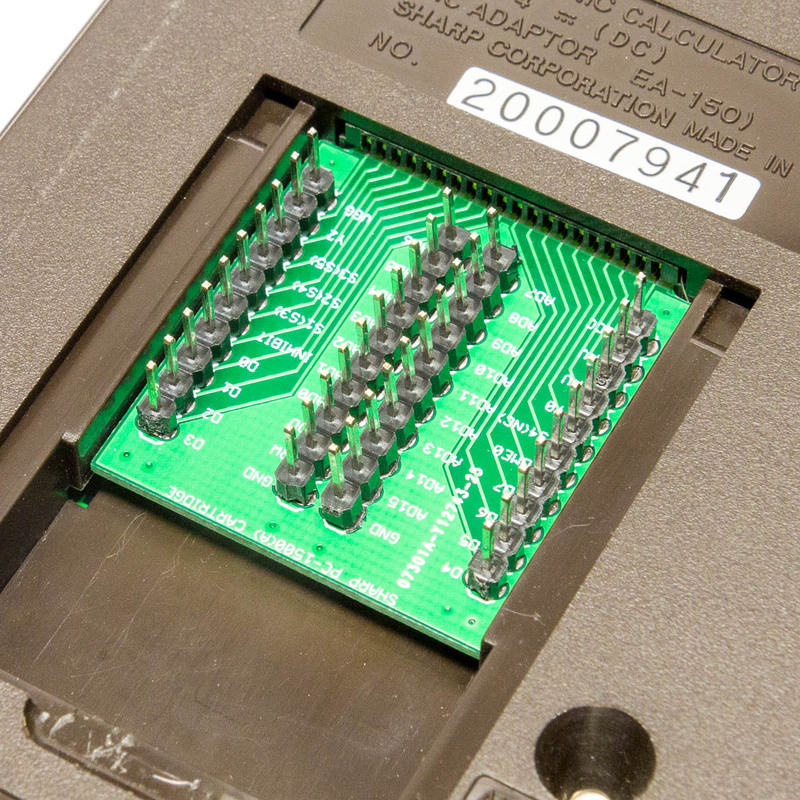 In many cases this allows easier debug access to the content of a cartridge (it EPROM) than reading (i.e. 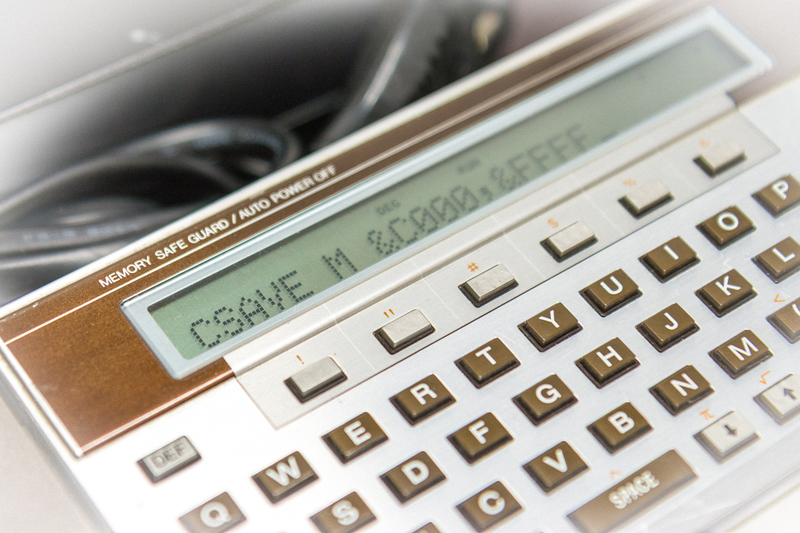 ‘beeping’ out) its content directly via the PC-1500/PC-1600 + PC-150 interface. 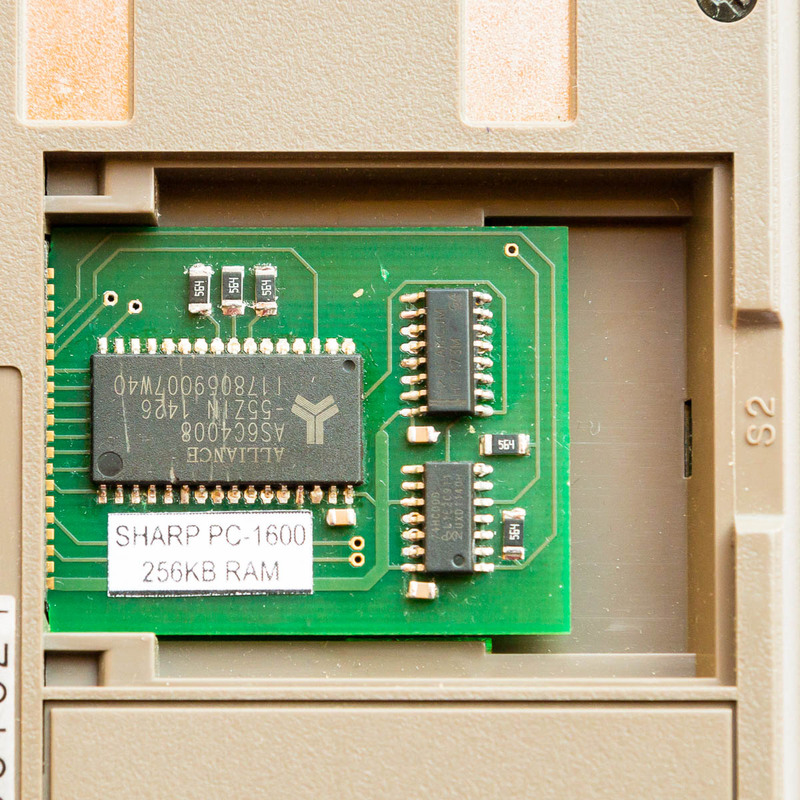 For debugging purposes (and also for playing around with memory chips on a bread board) I’ve created little breakout boards for the cartridge slot on the bottom of Sharp PC-1500s/1600s. I’ve added a layer of foam (not visible on the photo) on the bottom side of the cartridge to prevent the pin ends from scratching on the case. Typing on the PC while having cables connected to the cartridge is a bit annoying as I tend to pull off the cables when turning the PC around. I’m currently figuring out a better solution by using ribbon cables instead of the pins. I will update the post as soon I’ve managed to make photos of the modified version. 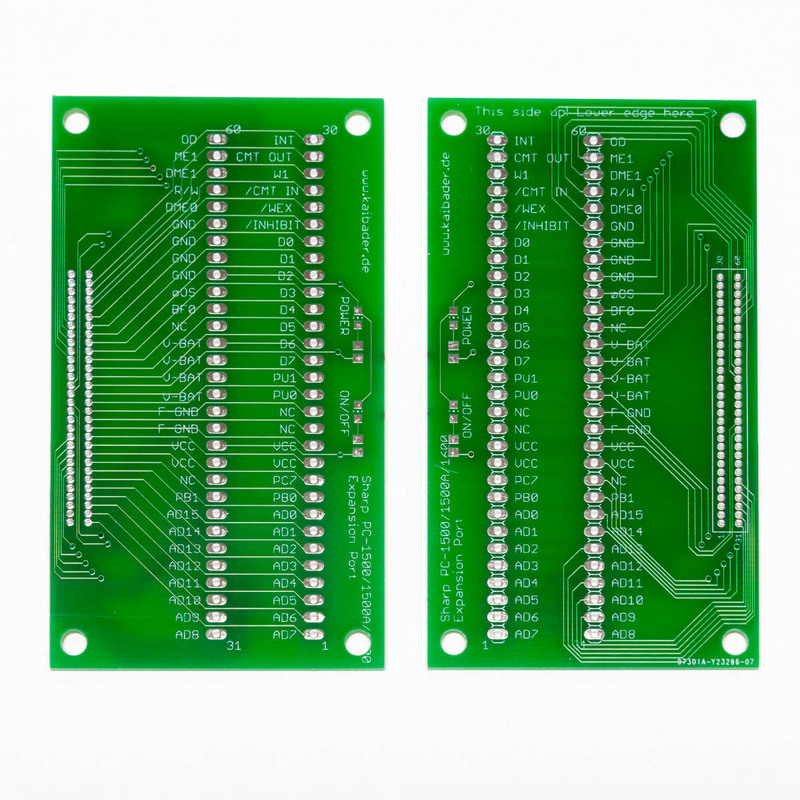 Just a little update for all readers interested in Sharp 1500/1600 PCs: for hacking around with the Sharp Pocket Computers I’m using a self-made breakout board that allows easy access to all 60 pins of the interface connector. 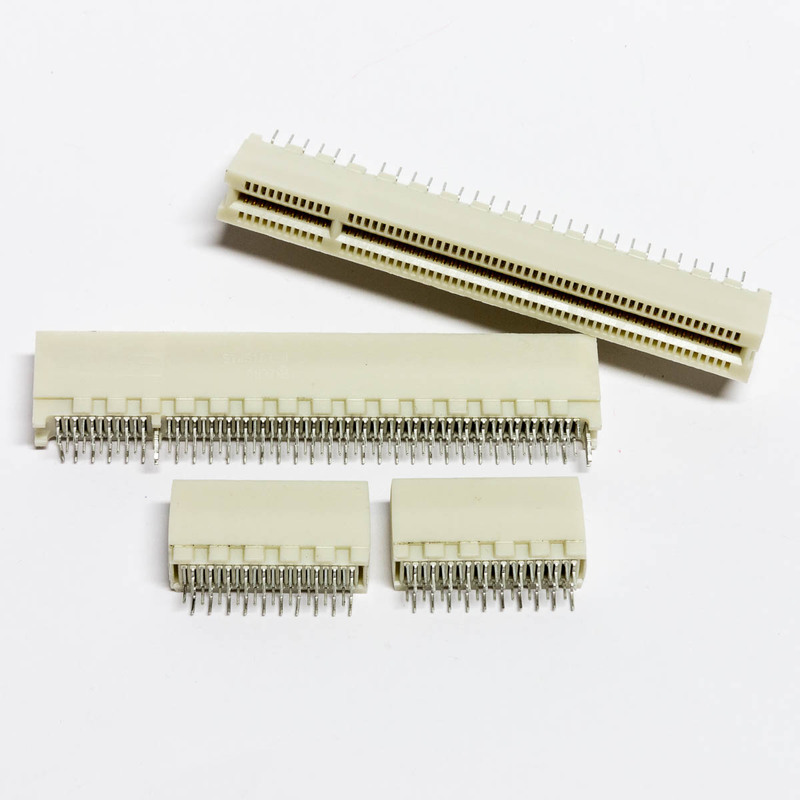 The 60-pin connector is a simple 1.27*2.54 60-pin male header (I’ve bought mine here).